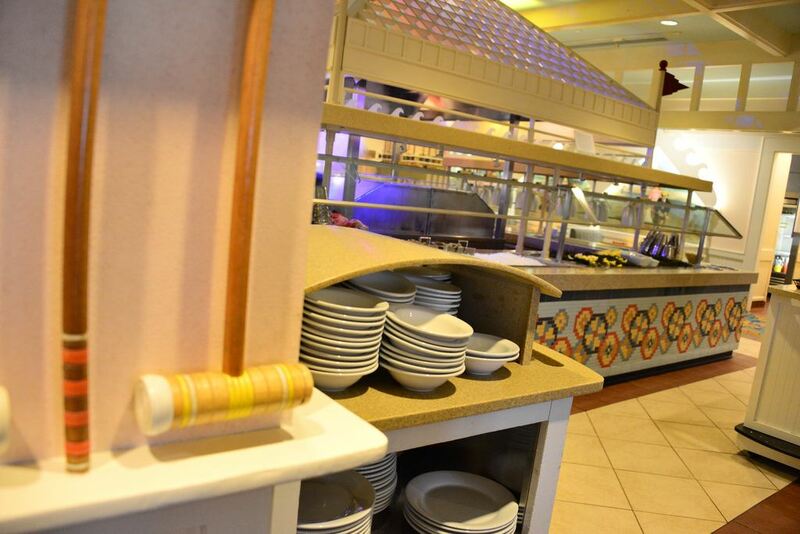 The buffet features peel-and-eat shrimp, tasty (albeit chewy) clams, mussels, snow-crab legs, fish of the day, hand-carved flank steak, barbecued ribs, chicken, corn on the cob, Caesar salad, and a good dessert bar. The kids' bar includes chicken nuggets and mac-and-cheese. Cape May’s all-you-can-eat menu isn’t terribly exciting, but you can get your money’s worth in decent seafood. Advance Reservations are recommended. 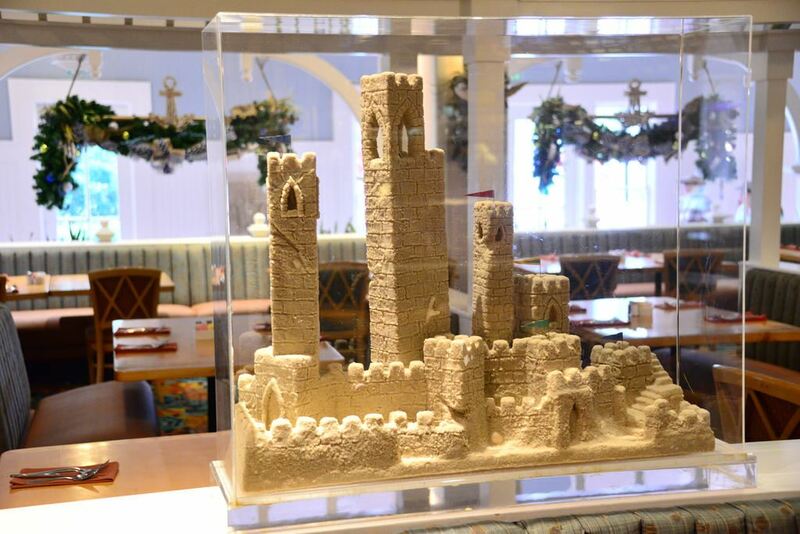 Because Cape May is within easy walking distance of the World Showcase entrance to Epcot, it’s a convenient and affordable place to dine before IllumiNations. 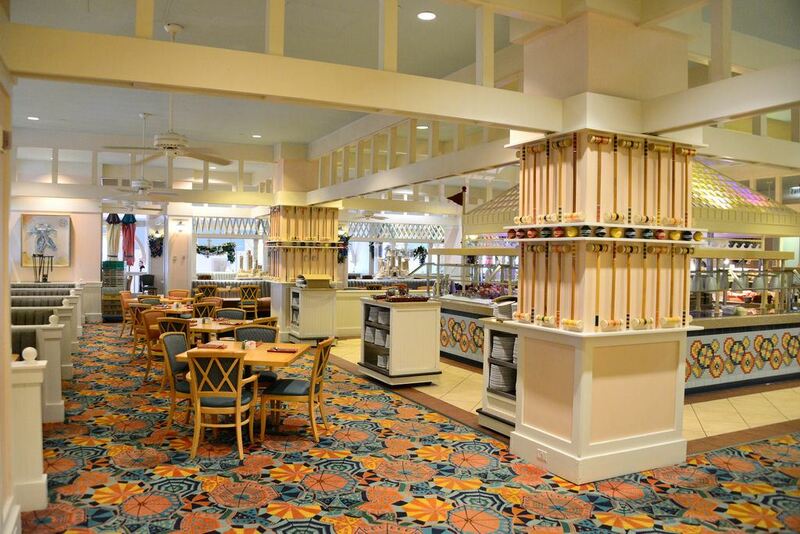 At breakfast, a character meal with the standard Disney breakfast buffet is offered. 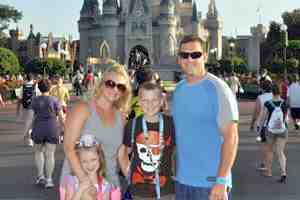 Characters are usually Minnie, Goofy, and Donald in the beachy best. 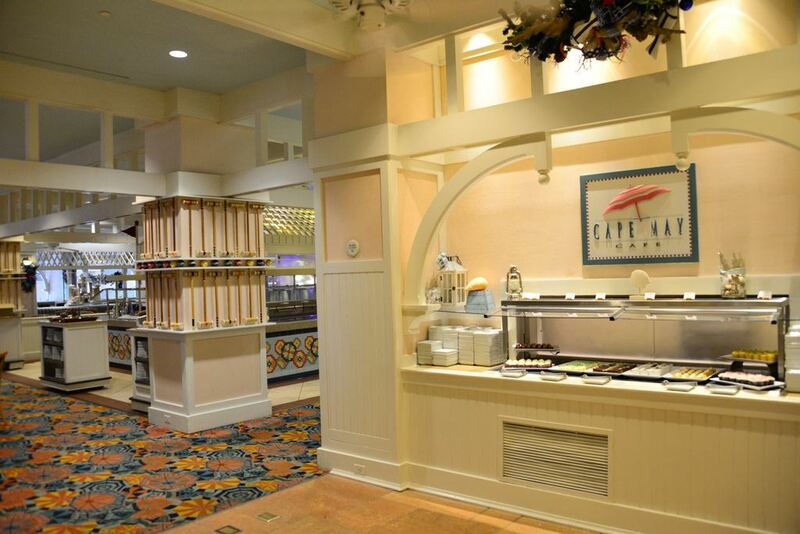 The location of Cape May Café at the Beach Club Resort can cause a slight transportation issue when you schedule an early character meal. If you do not have a rental car your choices for arrival at the Beach Club (assuming you are not staying at the Yacht Club, Swan, Dolphin, or Boardwalk, which you can walk from) are: 1) bus/monorail to Epcot and walk all the way through Future World and out the International Gateway (only applicable if Epcot is open), 2) bus to Disney’s Hollywood Studios and boat/walk to Beach Club, 3) bus to another park or Disney Springs and then bus to Beach Club, or 4) take a taxi. You have undoubtedly noticed that none of these is ideal, especially with children (unless your children say “Yea! We’re getting up at 6am for an 8:25 breakfast!”). 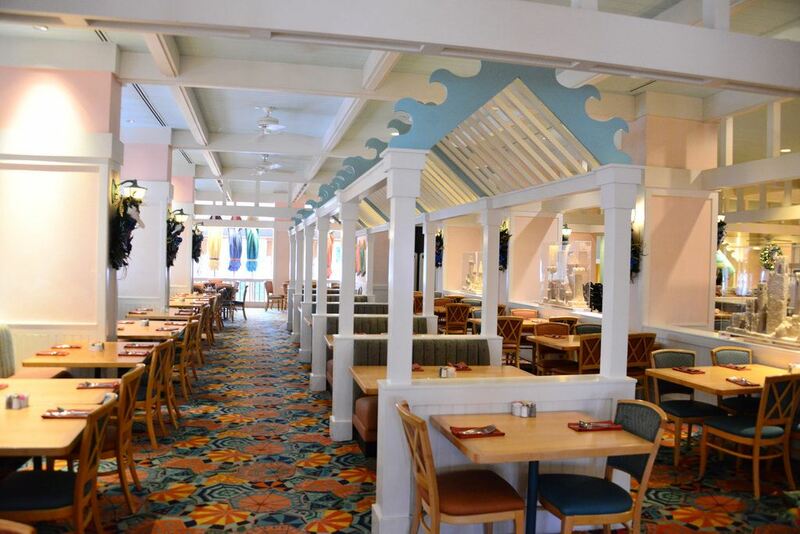 Just off the lobby at the Beach Club, Cape May Cafe features nautical New England decor in two dining rooms and lots of comfortable seating. The tart Key lime pie from the dessert bar. Dinner Hours Daily, 5 - 10 p.m.